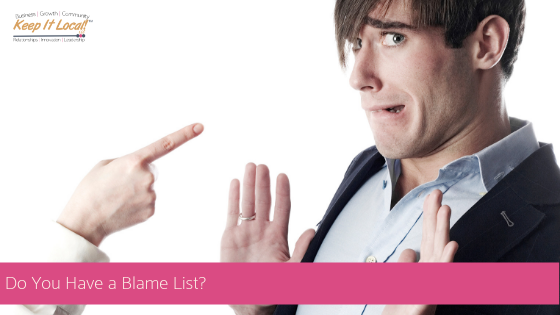 Do You Have a Blame List? Have you thought about it? 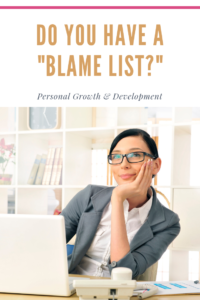 Do you have a blame list? 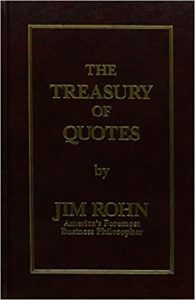 Motivational speaker and personal development guru Jim Rohn had one! Yep! He knew exactly who to blame for not being successful in his life. He blamed everyone from the government, to taxes, circumstances, his boss, etc. If they existed, he blamed them. Until he realized it’s not what happens to us, it’s what we do about it. Now, answer this…would your life look a little different today if you got up a little earlier this morning and started crushing your to-do list, made coffee at home instead of paying $5 for a mocha grande something or other, went to the gym, reviewed your goals, made different food choices, etc.? My guess is, your life would look a little different and over time, those differences compound to make an even BIGGER difference in your life and your career. But, how do you do it and what changes should you be making to make a difference in your life. Below is a list of Jim Rohn-ims that have made a huge difference to me and I hope they impact you just as much! Read each statement carefully and take the time to think about the point he is making. My guess there will be at least one statement that will flip a switch for you. If you work hard on your job, you will make a living. If you work hard on yourself, you will make a fortune. Learn to work harder on yourself than your job. Make yourself more valuable to the marketplace. 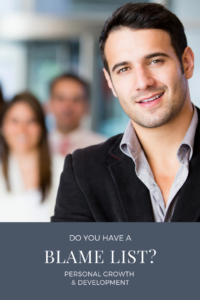 Develop skills to become more valuable. To have more, you must become more. Don’t join an easy crowd; you won’t grow. Go where the expectations and the demands to perform are high. This week, I challenge you to throw blame out the window. Instead, work on developing yourself. Tell me what happens.